This very therapeutic Massage technique dates back nearly three thousand years and has been used in the daily lives of the people of India for that length of time. This treatment concentrates on the shoulders, neck and head and may relieve symptoms of stress, including stiff neck and shoulders, eye strain and headaches. 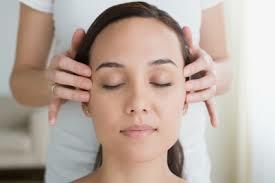 This therapy can be given with or without oils depending on the clients’ preference.